All aboard the U.S.S. Enterprise! 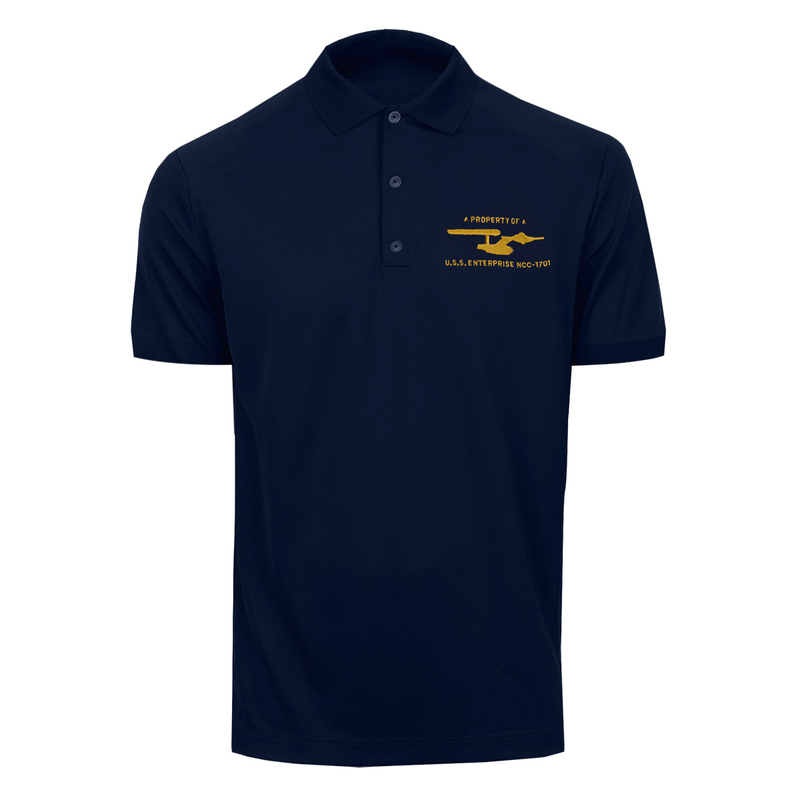 Join the crew and make it official with the Star Trek USS Enterprise Crew Members Polo. The dark navy blue polo features an embroidered silhouette of the Starship Enterprise along with “Property of U.S.S. Enterprise NCC-1701”. This polo shirt in your collection is the perfect identifier of a true fan. My husband was thrilled that THIS was his Valentine's gift. He LOVES this shirt! It looks great, fits great, and because the ship is actually embroidered on the shirt, he can wear it to work! The size was accurate and it fit just right. The logo is actually embrodered as described, and looks pretty good.i I halfway expected to get a cheap iron-on patch instead. It looks better than I thought it would. My only real gripe is the material is a little on the thin side for the cost, and the "deltas" look like the letter "A". I'll see how it holds up after a few washings, and repost with any issues. So far I am pleased.